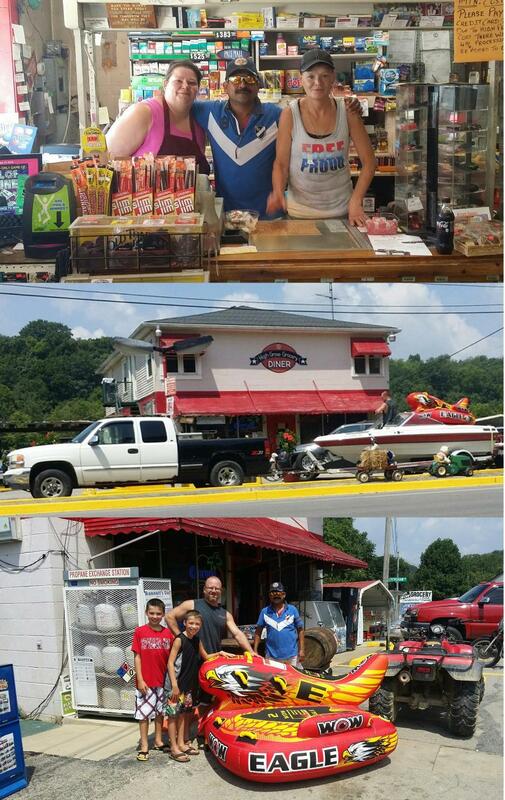 On your way to the lake stop in for gas, supplies and enjoy our home cooking. Chicken, meatloaf, mashed potatoes, corn, green beans and all the good stuff you like to eat are available here almost everyday. Sit down and eat and get to know the neighbors. You will enjoy the gentle warmth of our community and you will feel welcome by everyone We have a lot more info, photos, videos and stories about the store, the people and our community Cox's Creek. We encourage you folks from Louisville and Southern Indiana to drive down our way for a Sunday afternoon drive or take a little mid-week get-a-way and stop in and see us. We have a good life here at High Grove and we would love to share it with you. We are going to be in the Hikes Point News online magazine all year. So click on our pages often. 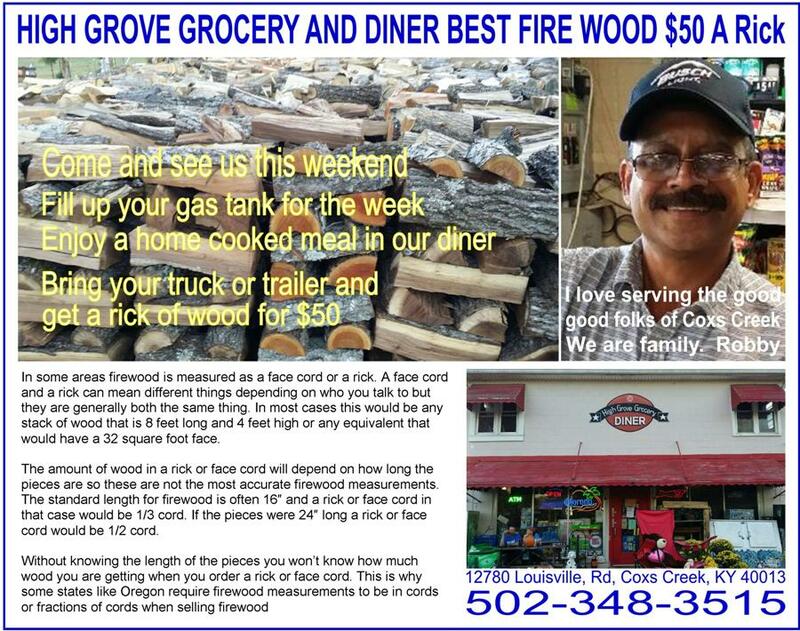 We will be offering you some great Deals of the Day, coupons and again we have a lot of good ole stories we will be sharing with you when you visit us in the magazine or when you visit us at the store. Bye now and we will be looking for you coming down the road to our store in High Grove.